The runaway hit game that started on iOS, then migrated to webOS has finally made it to Android. It is currently exclusively available for free on GetJar - Angry Birds (12.33 MB). (Note, the site is overwhelmed at this point--I was able to download it from the mobile version of the site GetJar Mobile.) Rovio, the developer, promises the game will be available via the Android Market very soon, which should alleviate the download issues. This is big news for a platform that has struggled to gain any footing in the gaming market. Will this be the start of a push for good gaming on Android or will the likes of Apple, Nintendo, Sony and HP-Palm continue to lead the way? Time will tell. 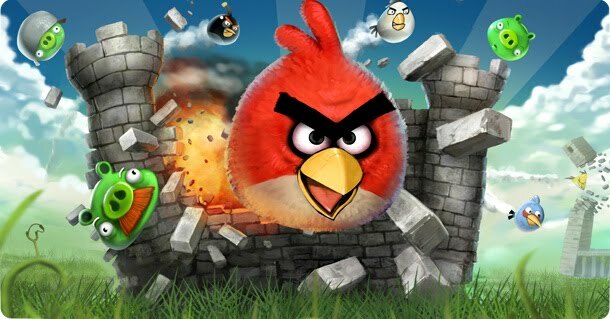 For now, enjoy Angry Birds! Looks like Rovio meant "very soon" as the app is now available in the Android Market.